Try Exante for 1 week and see what you can achieve! With our 7 day sample pack, you can try out our best-selling shakes, find your favourites and fall in love with the fast and visible results. The simplest way to sample our favourite shakes and see for yourself how Exante can transform your life. Enjoy a shake 3 times a day for a complete meal replacement, enriched with 27 vitamins and minerals for 100% of your RDA. 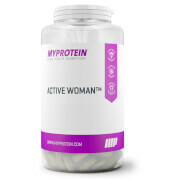 This pack contains: 7 x Chocolate Shakes 7 x Banana Shakes 7 x Strawberry Shakes Content of the bundle may be subject to change For nutritional information, ingredients and allergens, please refer to the individual product pages. Other after shaves all of a sudden seem so boring. Our super-fast-absorbing does-it-all after shave cream-gel combines repair-promoting antarctic algae with protecting liquid blue rock and skin-friendly vitamins. Our exclusive aromatic notes of desert sand and black rock revive the senses. 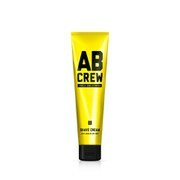 Treat post shave skin with AB CREW Men's After Shave, a fast-absorbing cream-gel formula that works to soothe and moisturise your skin after shaving. Combining reparative Antarctic algae with protective liquid blue rock and vitamins, the hydrating post-shave treatment will leave your skin feeling soft and revitalised with an exclusive desert sand and black rock fragrance. - K.N. Take control of stubble regrowth with AB CREW Men's Hair Minimizing After Shave, a multi-tasking cream-gel formula that works to reduce the appearance of hair regrowth (so you can get away with missing a day's shave.) Combining reparative Antarctic algae with protective mineral rock, vitamins and plant proline complex, the unique post-shave treatment will slow down stubble regrowth whilst soothing and moisturising your skin. Scented with aromatic notes of desert sand and black rock. - K.N. Treat your beard to AB CREW Men's Pre-Shave Oil, a protective treatment that preps facial hair for a close and comfortable shave. Fortified with a blend of Amazonian açaí and plant squalane, the pre-shave formula protects the skin whilst lifting hairs for an incredibly close, non-irritating shave. Say goodbye to red and bumpy post shave skin. - K.N. Please Note: Formulated with Squalane that is plant derived. Tame your beard with AB CREW Men's Shave Gel, a moisturising shaving cream that helps deliver a close shave whilst awakening your senses. Fortified with lubricating mushroom derivatives and renewing black rock minerals, the cream will enhance comfort during shaving and impart a masculine scent of high mountain woods. - K.N. Tame your beard with AB CREW Men's Shave Gel, a moisturising shaving gel that helps deliver a close shave whilst awakening your senses. Fortified with lubricating mushroom derivatives and protective, copper-rich blue rock minerals, the shave gel will enhance comfort during shaving and impart a handsome scent of frosted North African citrus. - K.N. You know how some guys shave really close and dont seem to get bumpy, blotchy, red skin? They probably use an oil in their shaving routine. This unique blend of Amazonian Acai and plant squalane safeguards the skin while lifting facial hair for a close, incredibly comfortable shave. Our exclusive aroma of fresh-cut wild verbena revive the senses.